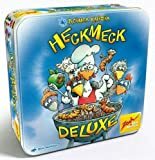 Two to seven players, ages 8 and up try to obtain fried worms for their chickens, so that they don't go hungry. Of course, anyone who doesn't manage to grab a worm off of the grill can help himself to those of his opponents. 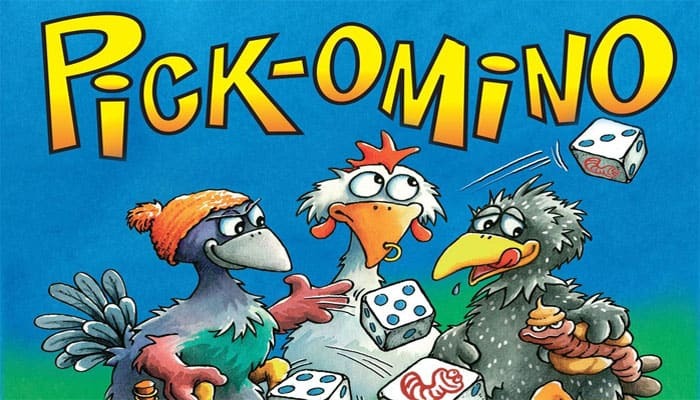 This fast-paced game by Reiner Knizia is, like Hick Hack im Gackelwack, a gambling game in the finest chicken tradition". 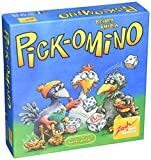 Each turn players roll their dice and set aside all those matching any single value. 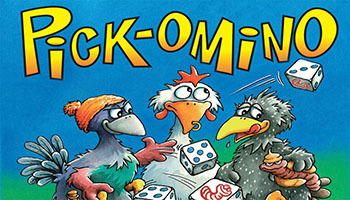 The remaining dice are rolled and any value is set aside again until the player stops and takes a tile or busts and puts their last tile back. When a player busts and fails to take a tile they must also turn the highest tile face-down.